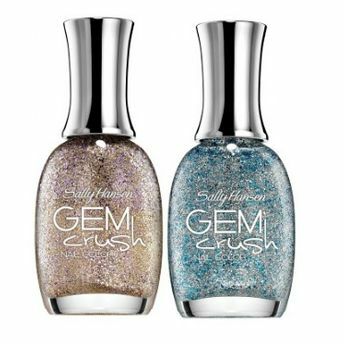 Make your nails the new jewelry with Sally Hansen Gem Crush Nail Color. Enriched with Full-coverage formula it creates a thick blanket of rich color on your nails. Wear this awesome nail paint which has multi color reflectivity. Glides over your nails quickly and emits beautiful glittering shine. Additional Information:Sally Hansen is the number one brand of nail care. With simple formula of educating the consumer they provide best in class beauty products. Decorate your nails with amazing shades of Sally Hansen Gem Crush Nails Color Vernis A Ongles.